If you are charged with an underage alcohol offense such as possession of alcohol by a minor, consumption of alcohol by a minor, or providing alcohol to a minor, contact the attorneys at Thomas, Ferguson & Mullins to discuss your case. You may be eligible to participate in a program that would lead to the dismissal of your case. 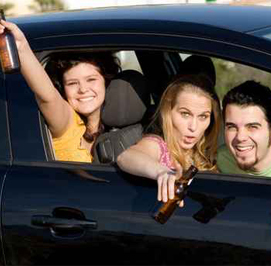 Some offenses may require that you participate in an alcohol and drug education class. Thomas, Ferguson & Mullins can help you find a local class that will meet the requirements of the court. If you are a college student, there may be ramifications that extend beyond the criminal justice setting. An attorney at Thomas, Ferguson & Mullins can discuss with you how the criminal charge may also lead to a student disciplinary proceeding from your university. Contact our office today to set up a free consultation to discuss the particular circumstances of your case. An underage alcohol conviction can change the trajectory of a young person's life, but not if we can do anything about it.